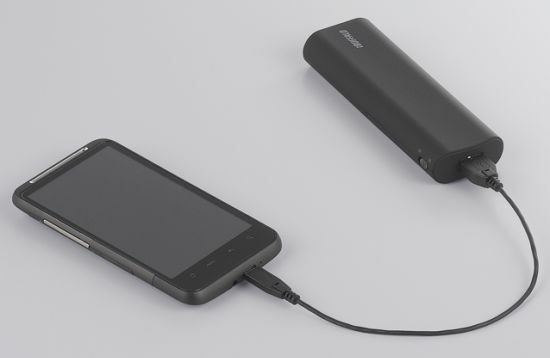 Make your smartphone battery last longer while travelling! This is the age of smartphones, Instagram and constantly reporting where you are! The battery of a smartphone won’t last a day of your normal life at home, when you travel IT GETS EVEN WORSE! When I travel on work I am constantly documenting where I am and what I am seeing – that is what I do as a job, and the few occasions when I’ve lost battery it’s been a real pain. I have not been able to record my observations (which later translates into a stop in a script for AudioCompass) or record the GPS coordinates of my location — all important things to do when you write audio scripts for heritage walks. My job might have exposed me to the extreme limits that a battery can drag itself out, but that also means that I have a whole bunch of handy tips to give you. How do you make your smartphone battery last longer? 1. Basic stuff that holds even when you aren’t travelling. Turn off vibration mode, dim the background light, keep screen time out low, turn-off wi-fi & bluetooth, kill apps you aren’t using & minimise notifications. 2. Always charge it during the night so that you have full charge and you can hit the city running! If you have a flight to that destination, once you’ve sent your “Flight’s on time; boarding; switching off” messages to your loved ones. SWITCH OFF. No flight mode, that consumes powers too & could translate to 3 less photos! 3. Turn off data! Often not needed when travelling. You should be looking at the sights in front of you and enjoying that place instead of being on Facebook! No need for emails to be on push, so you can choose to refresh it every evening. 4. If you are the Instagram + camera person like me (check out my Instagram feed here) take pictures then & there, edit and upload later during a meal or during a meal. On the move, you tend to use up a lot more battery with all the editing and information. 5. Use GPS judiciously, ask people around you for directions. Old fashioned but also gets you talking to locals and not stuck on your screen. 6.Restrict your phone to its unique uses i.e. what no other device does for you. If its your music device too, you are screwed! Buy that i-pod before your next trip. 7. Carry your charger with you and the minute your break for lunch request the server to let you charge your phone. Most places are very sweet and gladly let you do it. 8. The best investment: an external battery pack. The minute your phones reaches 50% battery life start charging. Also carry two microusb chargers. One for your external battery pack and one for your phone. You will need to charge both together at night to be on the move the next day! All of this does sound extreme but that is also because I need to have a charged phone all the time! You might not be as desperate, so find what works for you. I do have one honest piece of advice, when I travel for pleasure I personally keep data off all the time. No emails, no Whatapps, no Facebook, no nothing! I find that it’s a way better holiday and a much more relaxed time as I am in one place, and not in multiple places at the same time. These are my quick fire tips. What are yours? Tell me more! I’m sending this to everybody I know!! Next Next post: Tips if you are invited to a restaurant LAUNCH PARTY!